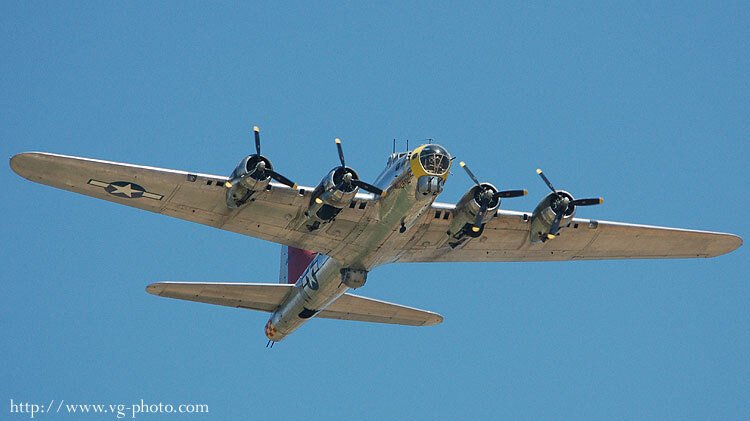 OnOne of the more well-known American Aircraft of WWII, the Boeing B-17 was rugged. 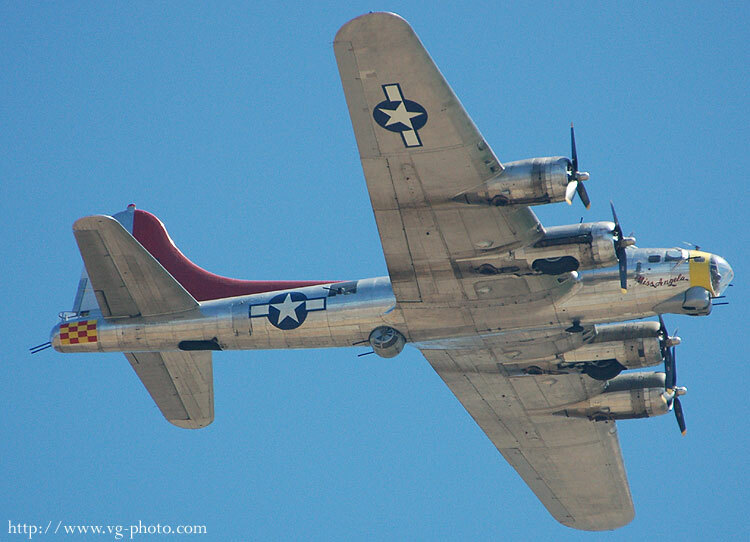 Carrying a typical crew of 10 and many .50 caliber machine guns, the Flying Forts labored many hours to take the fight right into the heart of Germany. 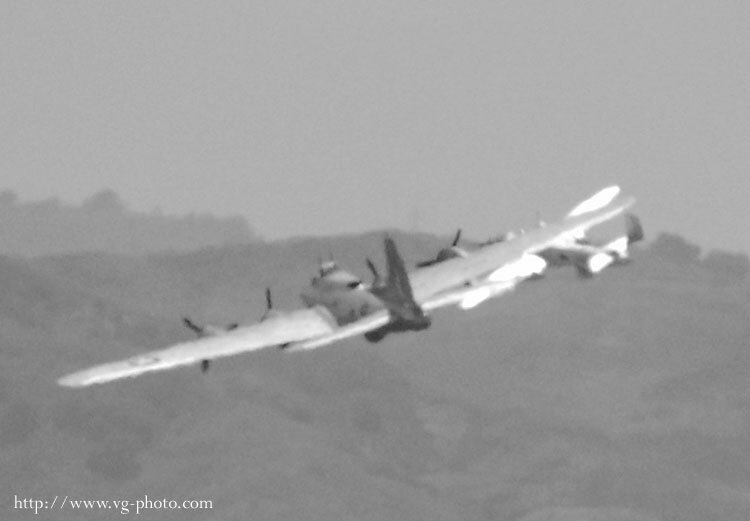 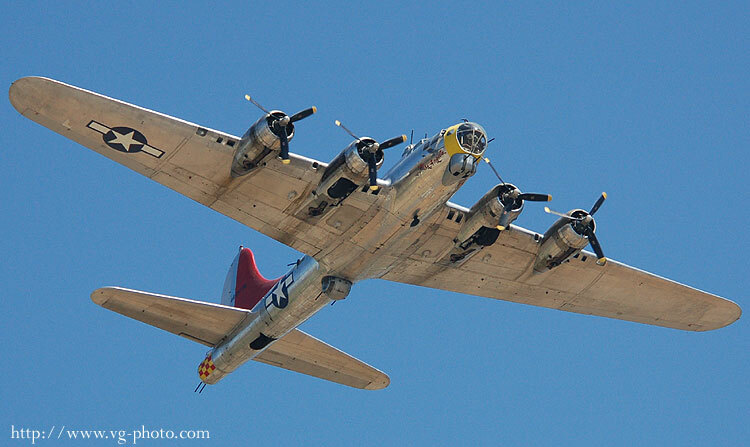 Over 12,800 B-17s were made and sadly only about a dozen or so remain in flyable condition. 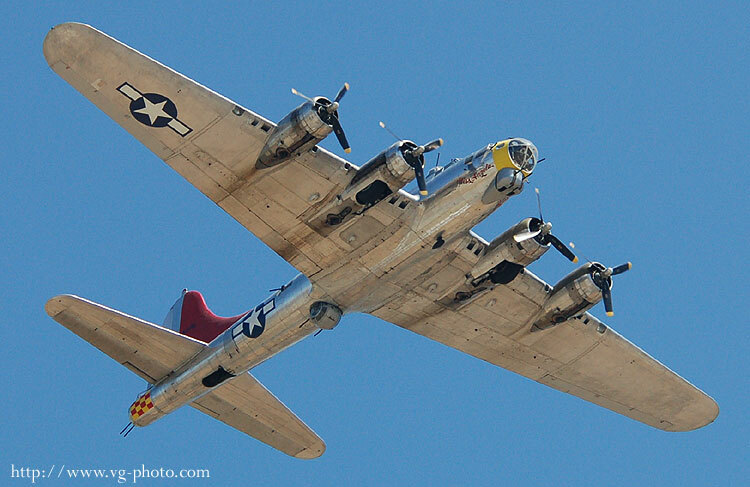 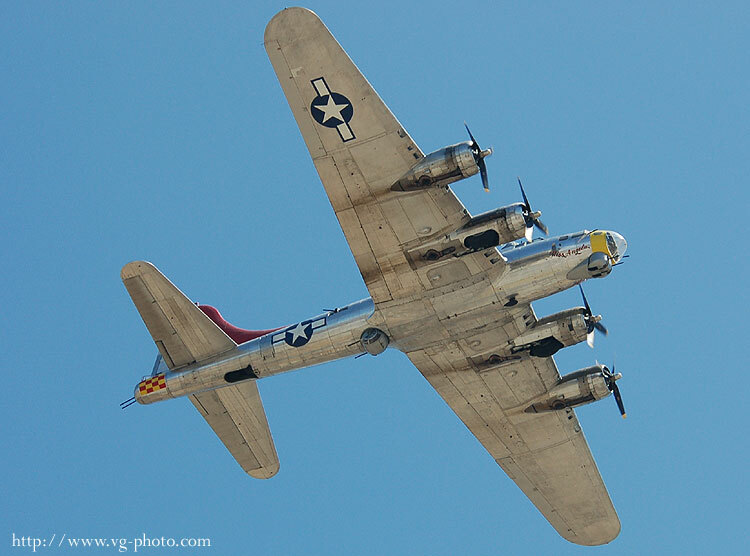 This B-17 "Miss Angela" is owned and flown by the Palm Springs Air Museum. 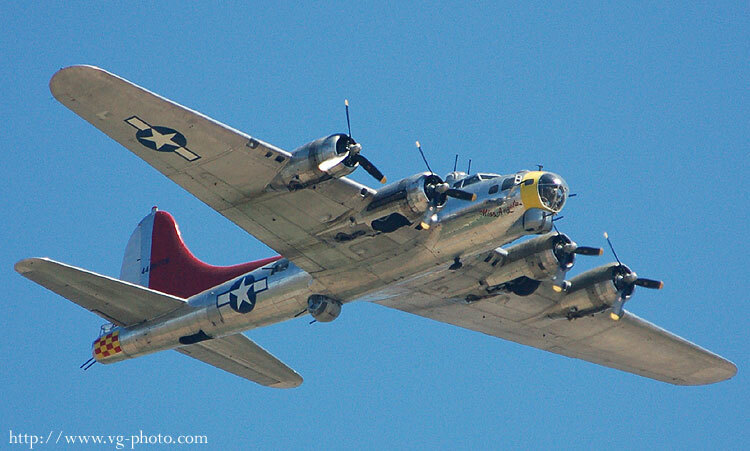 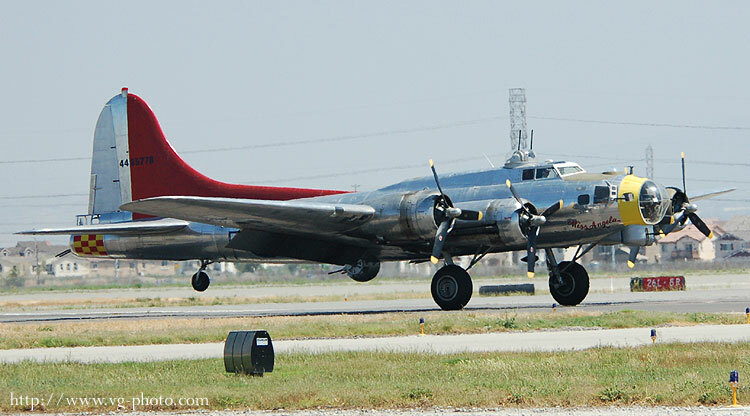 It never saw wartime service as a bomber, but as a trainer (TB-17) and a VIP transport. 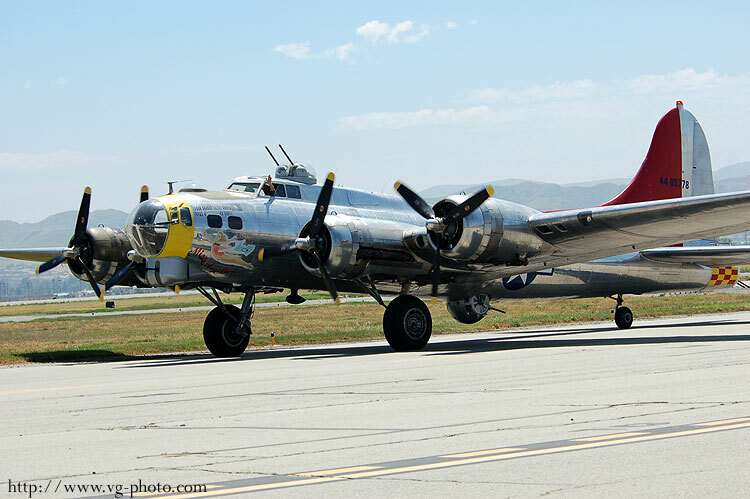 It went through a number of owners over the years before being acquired by the Palm Springs Air Musuem.